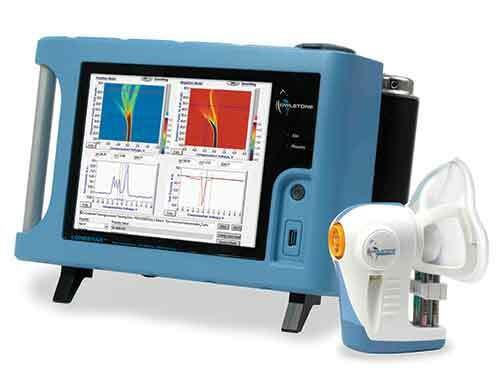 Owlstone Medical said today it will partner with Mayo Clinic on a clinical trial designed to assess the company’s Field Asymmetric Ion Mobility Spectrometer (FAIMS) platform technology as a pre-endoscopic test designed to improve the effectiveness of colonoscopies. The trial will evaluate how FAIMS performs as a rapid, point-of-care test to non-invasively assess the adequacy of bowel preparation before colonoscopy. The technology is envisioned as an aid to ensure that colonoscopies are only performed when patients are adequately prepped, thus reducing the number of unsuccessful colonoscopy procedures and enabling more effective diagnosis of colorectal cancer and other diseases. A study by Mayo Clinic researchers published 2003 in Gastrointestinal Endoscopy estimated that suboptimal bowel preparation was present in over 20% of colonoscopies. FAIMS is a non-invasive chemical detection system designed to measure volatile organic compound (VOC) biomarkers from breath, urine, and other bodily fluids. Owlstone Medical said the trial follows a successful pilot study in which VOC biomarkers emitted from pre-procedural stool samples were captured and analyzed using the company’s ATLAS Headspace Sampler and Lonestar VOC Analyzer, a FAIMS sensor platform. Results from the pilot study showed that FAIMS technology can rapidly and effectively identify patients inadequately prepped for colonoscopy with 100% sensitivity and 80% specificity. Pilot study results will be presented at Digestive Disease Week 2017, set for May 6-9 in Chicago. “The work not only validates our technology for use in clinical practice but also demonstrates its scope for wide medical application using other biospecimens in addition to breath,” Billy Boyle, co-founder and CEO of Owlstone Medical, said in a statement. Owlstone Medical is also assessing FAIMS technology in the 1,400-patient InTERCEPT clinical trial, designed to assess the accuracy of its diagnostic technology in detecting colorectal cancer early, from samples of breath and urine. Colorectal cancer is one disease for which Owlstone Medical is currently developing tests. Others tests in development are for lung cancer, and asthma stratification by therapeutic response. The company also sells R&D tools and services to academic, clinical and pharma partners who want to develop breath based diagnostics for their own applications. Headquartered in Cambridge, UK, Owlstone Medical was spun out from Owlstone Inc. in 2016 to develop and commercialize FAIMS in diagnostic applications. Founded in 2004 as a spin-out from the Engineering Department at the University of Cambridge, Owlstone Inc. sells FAIMS technology to military and industrial customers globally.